NuNorthern Soul returns with an EP from talented UK soul-folk trio Abimaro and the Free. We fell for their sweet, multi-layered and poetic productions when we first stumbled across them and now we are utterly delighted to showcase their amazing work and to introduce them to some top remixers too. 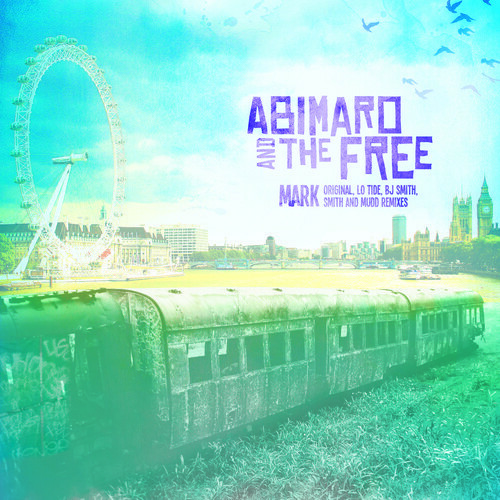 Abimaro and the Free are three talented young friends who reside in London town where they are the relaxing antidote to the city that never sleeps. Think of the folk-soul of Laura Mvula only injected with a very welcome dose of jazz expressions and experimentations. This is authentic soul music for 21st century Britain and we unashamedly love it. The original sees Abimaro’s soft poetics riding the waves of an epic, up-beat piano. For the final flourish a cinematic soundscape is conjured from the rising rhythms, bass and keys to whisk you away. Esteemed producers Smith and Mudd take ‘Mark’ into Fleetwood Mac territory by emphasising the simple bassline and chanted refrains while adding scattered percussion and spacey noises that hint at what is to come. The loping beat keeps you swaying rather than nodding until it all starts to coalesce into one dubby, progressive fusion. BJ Smith’s In The Grass remix finds all the parts of the track that Smith and Mudd left behind by putting the emphasis on the vocals themselves. The lyrics skip over the rhythmic guitar backing, much like BJ Smith’s own music. Then, just as you are settling in and closing your eyes, the song fires into life with a reprise that brings ever more instruments into the mix for a rousing uptempo finale. The fourth and final take on Abimaro and Free’s original is courtesy of Australian producer Lo Tide who brings forth the bassline and replaces the full percussion with simple handclaps to create a sparse number. The momentum in the track ebbs and flows, taking you to different places as winds out of your speakers. A proper jam.